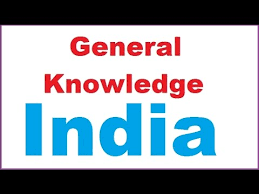 General Knowledge questions on Indian GK for Bank PO, IBPS, Bank Clerical And Indian GK For RRB Assistant Loco Pilot Group D 13-05-2018 questions for bank exams, very important computer-related questions for Bank PO, SBI PO, IBPS,RAS, IAS, UPSC, RPSC, 1st, 2nd, 3rd Grade Teacher, REET CTET, LDC, SSC CGL, IBPS, MBA, CAT, MAT, SBI-PO, RBI And Railway, Indian Army And all competitive Exams, and Most expected Computer Question Papers with answers. These Questions are most commonly asked in Other Banking Exam And All subject Wise Notes and Math, Hindi, English, History, Political Science, Psychology, Sanskrit Related Study material. Question. (1) Which is the largest public sector undertaking in India? भारत का सबसे बड़ा सार्वजनिक उपक्रम कौन-सा है ? Question. (2) How many railways has been divided into Indian Railways? भारतीय रेल कितने क्षेंत्रों (जोन) में बाँटी गई है ? Question. (3) When did the first train in India? भारत में प्रथम रेल कब चली ? Answer — 16 April,1853 ई. Question. (4) What is the total electrification of Indian Railways? भारतीय रेलमार्ग का कुल कितने % विद्युतीकरण है? Question. (5) When did the first train in the world? Question. (6) When was the Indian Railway Budget different from the general budget? भारतीय रेल बजट को सामान्य बजट से कब अलग किया गया ? Question. (7) Where and when did the underground (metro railway) launch in India? भारत में भूमिगत (मेट्रो रेलवे) का शुभारंभ कब और कहाँ हुआ था ? Question. (8) Which is the fastest train in India? भारत में सबसे तेजगति से चलने वाली रेलगाड़ी कौन-सी है ? Question. (9) When was the first electric locomotive built in India? भारत में प्रथम विद्युत इंजन का निर्माण कब प्रारंभ हुआ ? Question. (10) Where is the Integral Coach Factory? इंटीग्रल कोच फैक्टरी कहाँ है ?